My last blog post highlighted food waste within grocery stores. Last year, one campaign became viral and has been widely spread around the internet: The inglorious fruits and vegetables or “the Ugly fruit campaign”. 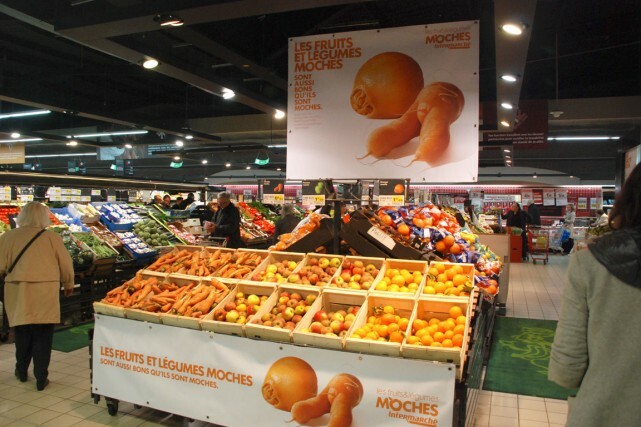 The french company bought “ugly” fruits and vegetables that farmers would otherwise not sell, and then sold them at discounted prices at supermarkets across France. 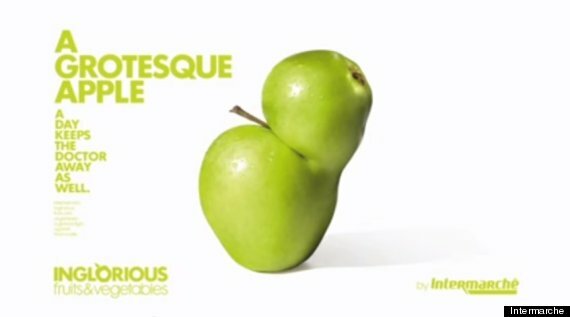 To get people to look past cosmetic blemishes, Intermarche also distributed juices and soups made out of those same “ugly vegetables”. Although people were skeptical at first, the grocery store sold out of their ugly fruits within the first couple of days. The company also reported that there was an increased awareness of food waste among shoppers. Overall it was a great success, although not solving the problem completely, it is one step in the right direction. NPR reported that “Ugly fruit fever is spreading,” noting that other similar campaigns across the globe are making ugly fruit a hot commodity. The advertising around this campaign was absolutely brilliant. 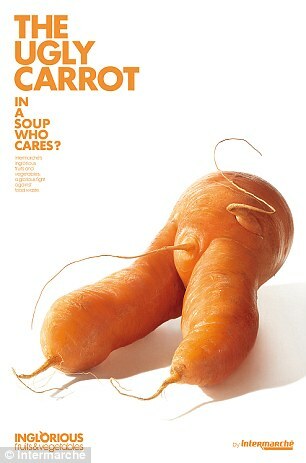 It used very clean, simple images with simple text to showcase the produce’s deformities and why this doesn’t matter. I think the campaign was so successful because it targeted one very specific problem of grocery store retail food waste-produce. Everyone knows that fruits and vegetables are healthy, and so focusing on produce food waste was very effective.